February has been a little wild (indecisive Southern weather, I’m talking to you), but we’re ending it on a high note! Today is our lovely Emily’s birthday, and we’d love for you to hop over to this post and leave her some love. We celebrated her with a surprise birthday brunch yesterday before heading out to a super fun shoot for our March newsletter. If you’re not signed up yet, do so here–the newsletter comes out on the first of every month and is an exclusive peek into our favorite things about working at SW and living in the South! This week’s dreamy fall engagement session is by Colorbox Photographers–see lots more on our Facebook page! Catch up on this week’s features! We’re leaving winter behind in style, thanks to this beautiful, cozy shoot. 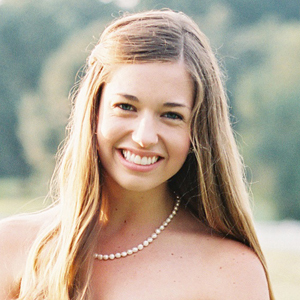 We introduced our lovely February Southern Bride of the Month! We’re all a little obsessed with this new product in the Southern Weddings Shop! Interested in interning at SW this summer? This post has all the details you need to apply. We’re ready for spring with this week’s weddings! Shannon and Clay (above) filled their Lowcountry wedding with sentimental details that nodded to their families and their love story. We especially loved the prayerful traditions Marenda and Jonathan incorporated into their ceremony. Farris and Taylor were married at the same chapel where both her grandmother and great grandmother were married years before! Jane and Marty chose the venue for their classic Virginia wedding after falling in love with the gorgeous mountain views. I was wondering if someone might be able to email me any info in regards to internship opportunities at Southern Weddings!!! Oh, y’all. This girl. Where do we even begin? We love her more than sweet tea in summer and are overjoyed to wish her a very happy birthday today!! You may already know Emily as a lover of classic weddings, mini food, and etiquette, and in honor of her birthday, we thought we’d share a bit more about why Emily is so special! Merry: Emily is naturally positive and cheerful, and she is so much fun to be around! We especially love her always-witty comments and hilarious stories about her cats. Adventurous: Emily and John have a reputation for going on frequent adventures—whether that means trying out fun restaurants, hiking new trails, or traveling to different cities. They do it all! We love their commitment to living life to the fullest and never being afraid to try something new. Role model: Every single one of us looks up to Emily for her constant grace, poise, professionalism, and kindness. The phrase, “I want to be Emily when I grow up” has been said in the office more than once! On the left: One of our favorite photos of Emily + John by Tanja Lippert from their wedding day! See their wedding here and here. On the right: Emily showing off her cute-as-pie Smilebooth skills. Valuable: You may already know how much Emily does as far as creating amazing content for our blog and magazine, but there is also so much more that she does behind the scenes! She contributes an invaluable opinion to everything from ad sales to magazine layout and we don’t know what we would do without her every day. Encouraging: Emily is quick to let people know when they’re doing something well, or to offer just the advice they need to help them do better. She is always thoughtful and sincere. Loving: As well as loving on us through things like sweet treats and hugs (as you can see in the amazing picture below), Emily loves her husband, family, and friends so well, and isn’t afraid to show it. 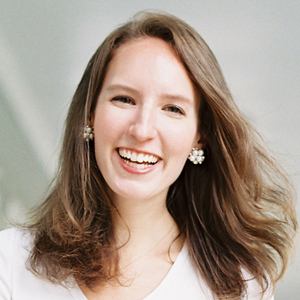 On point: Whether she’s chatting with readers at an event or representing Southern Weddings in a business meeting, Emily knows how to be friendly and tactful all at once. We’ve never seen her flustered and admire how quickly she can adapt to changing situations with grace. Unstoppable: This girl makes things happen. Whether she’s bringing an editorial shoot together in the rain or editing magazine pages long after the sun has gone down, her motivation to get things done and to do them well fires us up! Smart: We always say that Emily is smarter than the rest of us. While we love her brain for random bits of etiquette advice and Bachelorette pop culture, we also love that she’s extremely logical, always keeping in mind lessons from the past while considering all points of view and potential opportunities in the future. On the left: Graham Terhune snapped this shot of Emily crouched in muddy strawberry fields to protect our gorgeous gown for our Berry Bliss shoot. On the right: Emily being adorable during a blueberry picking outing with Eric Kelley. In case you hadn’t noticed, all of these qualities line up to spell the number one adjective to describe Emily Thomas: marvelous! Please join us in wishing Emily a very marvelous birthday today! Leave her some love in the comments section! Oh, happy birthday, Em!! I hope you have a marvelous day :) xo!! Happy Birthday, Emily! It was a pleasure to share the table with you last night as we got our calligraphy on. Hope you have the happiest of birthdays! You guys are so nice!!! Thank you for this wonderful birthday surprise! Love y’all!!!! Oh happy, happy birthday to one of the sweetest and most kind people I have ever met! Have the happiest of days!!! Happy Birthday Emily! You seem like such a lovely woman, inside and out! I love reading your posts and all the wonderful things you ladies feature on your blog. Have a wonderful day and a very happy birthday! I hope we get to meet, too, Brooke!! Happy Birthday Emily! :-) Hope you had a wunderfull Day!!!!! Citrus Floral Recipe Tins in the Shop! These lovely recipe tins come with 12 letterpress dividers and a starter pack of 24 recipe cards. If you have lots and lots of beloved family recipes to catalog, we also sell a separate pack of matching cards! The hand-painted fruits and gorgeous colors are so pretty in person – I know you’ll love these tins as much as we do. For more, check out their listing right here! Tin, Floral, Letterpress, and potential for delicious food make for a beautiful product! I really like this one. This recipe tin is just lovely!